It’s nothing new. And it’s actually the main goal of most online content creators. But creating SEO friendly content today isn’t as easy as it may look. And it’s surely not as easy as it was when the internet was born. Today, we focus on a lot of different elements that make our content SEO friendly. Whether it’s strategically picking our keywords or optimizing our images, SEO is at the center of online content creation. 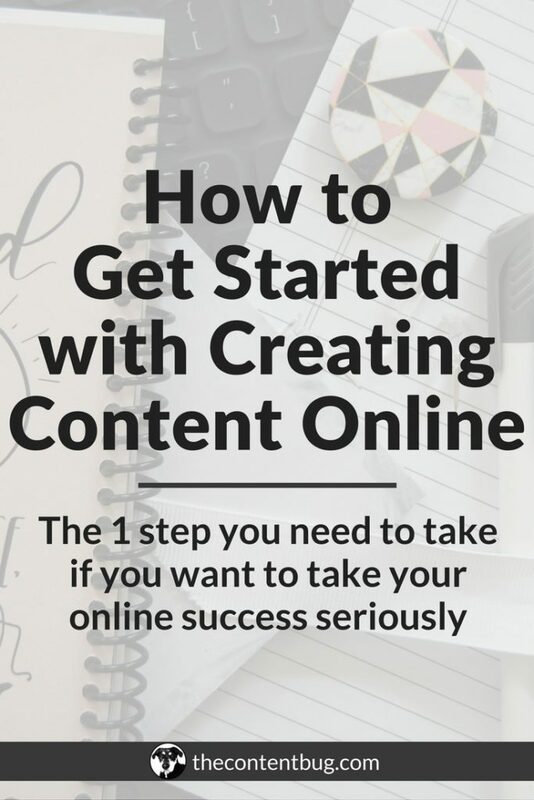 And if you consider yourself to be an online content creator, then you need to be in the know about what happens in the SEO world. Because it changes almost every day. And it directly affects how we write online. So let’s get started. Before we can dive into the impact SEO has on how you write content, you need to know the history of SEO and content. Search engine optimization (SEO) has influenced how we write online since the very beginning of the web. When the internet was invented, you better bet that content was right there alongside it. Because without content, there would have been nothing on the web. I mean, that makes sense, right? Also, the internet was used as a means of communication. And wherever there is an opportunity for communication, there is an opportunity for marketing. So it’s probably not hard to guess that companies started marketing online by creating simple websites. And even internet startups started in the early 90s! People found the web as a place to promote themselves and communicate with other people they might not be able to reach in the real world. I can just imagine the fascination on people’s faces when they started to discover the full power of the internet. So anyway, when people started creating content, it was that hard to make a quality website. All it took was a few pages that contained important keywords and someone who shared new content regularly on the site. Now, back then, creating online content was a lot simpler than it is today. All you had to do was pick important keywords that related to your niche and place them everywhere (and I mean everywhere) on your website. And so, you probably guess, that this is when keyword stuffing was born. At the time, algorithms ranked websites for relevancy based on the number of times a specific keyword showed up on a site. So it was important for a website to have important keywords repeated over and over again because it worked to be found online! And you could imagine how frustrated users would be. They would want to find something they are looking for on this amazing thing called the internet and all they could receive were pages with robot-like language! I mean, come on! So eventually Google was created and they changed up the game. Instead of just focusing on the relevance, they added a new element to their algorithm known as authority. Sadly, this didn’t stop people from keyword stuffing because it still worked well with other algorithms. But a few years later, Google got to business and started a war against what we now know as “black hat” SEO strategies. A “black hat” SEO strategy is something like keyword stuffing. It’s a simple trick to try and full algorithms to rank higher. And it’s highly frowned upon by Google still to this day! So in the early 2000’s, keyword stuffing was on its way out! And those online content writers had to learn how to write online all over again. I’m very thankful that I wasn’t an online content writer back in the 1990’s. I can’t imagine trying to shove as many keywords in my content as possible. Today, I really don’t even think about it! Because proper keyword placement comes naturally to me. And I’m sure glad for that! But today, writing SEO friendly content is a bit different. It’s not as simple as it was when it internet was born. Back then, all they had to focus on was keyword stuffing. Now, we have to perform a strategic balancing act to get our content to the SEO friendly level! And because of this, SEO needs to be at the very beginning of your content creation process. It’s often placed at the end. Like the often forgotten 3rd cousin in family photos. But content is actually the center of the show and deserves to be the center of your attention every time you create a piece of online content. 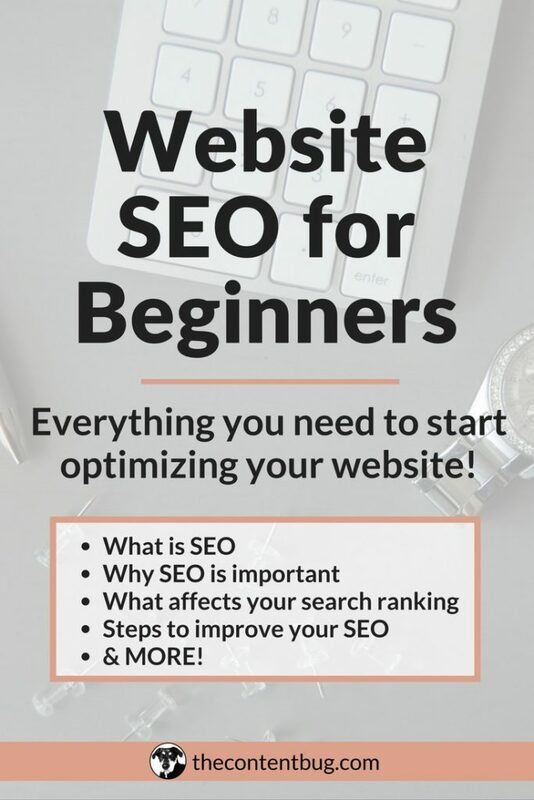 So let’s talk about how you can incorporate your SEO from the very beginning to create the best SEO friendly content for your website. If you are new to SEO, then I highly recommend you take a break and follow my beginner’s guide to SEO. It’s got you covered on everything you need to know! And will really help you out with the rest of this post. But if you are an old friend of SEO and you are ready to step up your content writing game, then it’s best that you keep reading. I already told you that creating SEO friendly content isn’t as easy today as it was 20 some years ago. 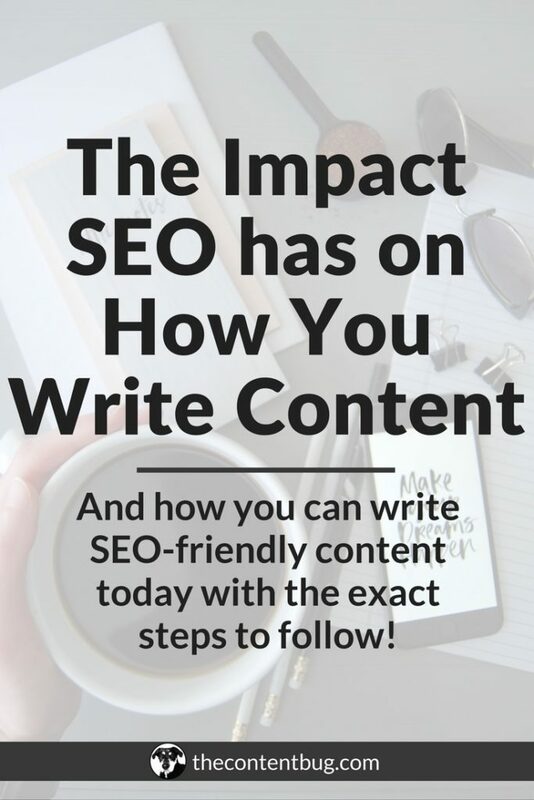 So I want to talk more about how to can easily conquer your SEO and content writing by bringing the 2 of them together in this section. Remember that keyword stuffing stuff we talked about? Yeah well, keywords are still important. Extremely important in fact! So before you even start writing a new piece of content, you need to perform the keyword research. And during this time, you will determine the important keywords that you would like your website to rank for. And once you know that, then you can create a plan for the placement of those keywords in your content. So perform your keyword research. And never start writing a piece of content without knowing the focus keyword first! I have said this time and time again on TheContentBug.com. But I’ll tell it to you a million more times if that’s what it takes to get it engraved in your head. 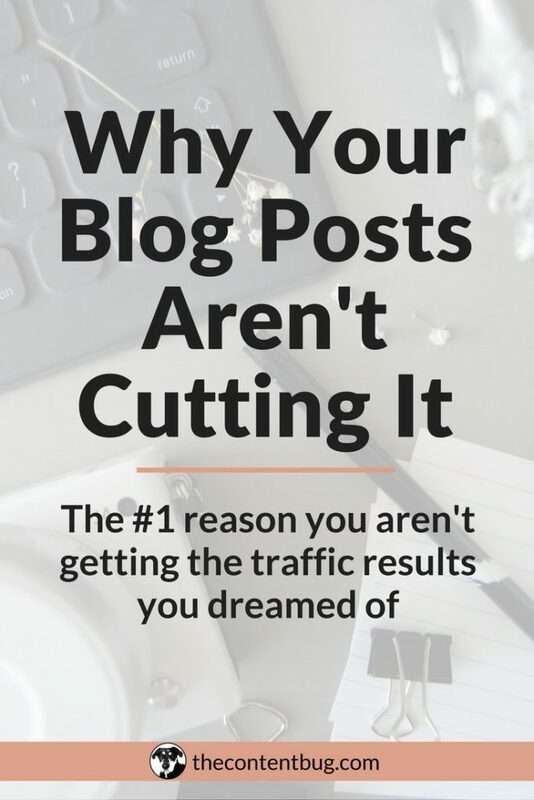 Your blog posts need to be at least 1,500 words! No less, but certainly more if you’re feeling up for the challenge. Google loves long-form content that provides great value to users. It’s easy for them to know that it’s high quality because of the length and the amount of time that your readers stay on your site. Once they know both of these things, then your content will really win the SEO game. I’m hoping that when you write your content, you have already broken it up by different headlines. For example, this blog post has a lot of different headlines. And all of them are marked by the appropriated headline tags, meaning H2 and H3 tags. With each page on your website and each piece of content you write online, make sure you consider the H2 and H3 tags that you include. These are the areas that tell Google your supporting points in your content. So they can take the headline and say “Okay, in this post called (BLANK), they are also going to cover these topics”. And then they rank it appropriately! With each piece of content, you get an opportunity to establish your authority. And remember what I said at the very beginning of this post? That’s when Google started out they not only incorporated relevance, but also authority? Yeah, well that hasn’t changed! Google still needs to see that you are authoritative in your niche and you know what you are talking about. And one easy way for you to do that is to include references to high-quality sources. So when you write a new blog post, do your research! And then when you include those facts in your article, make sure you link to them! Including these high-quality links, that are accurate, are great for getting Google to love your content. With each image you add to your website, you need to optimize it. And it’s not that hard. You just need to follow the following steps. Compress your images so that it is a smaller file size when you go to upload. Make the file name descriptive and accurate to what is in the image. Always add the appropriate descriptive alt text when uploading an image. And my friends, that’s it! That’s all you have to do to optimize your images. Pretty easy, right? Well, now let’s talk about the benefit. When you compress your images, you help with the speed of your website. Because the larger the images, the longer it takes to load. And the faster your website, the better because Google will reward you for a fast website. And when you add the appropriate file name and alt text, you tell Google what is in the image. Google doesn’t have eyes that can see what an image is. They need text to help them! So all the help you can give them the better! Creating an internal link structure is incredibly important! It really helps the Googlebot and your users to navigate your website. So the stronger your internal link structure the better. What I’m getting at here is that you need to link to other pages on your website. So if you are talking about something that can be found in more detail on another page, make sure that you link to it! This will only help you in the end. Okay, okay. So keyword stuffing is bad. But knowing where to place your focus keyword is good. So jumping back to step 1, the focus keyword that you established for your piece of content needs to be placed in a few areas. In the SEO title of the page. Or in other terms, in the title of the blog post. In the main content, preferably at the very beginning. You need to include a focus keyword a few times in your content. Now that shouldn’t be too hard since it is the topic of what you are writing about. So at least include it 3 times in your content. And try to add it at the very beginning. In your image’s information. Yep. Your images need to include your focus keyword too. It will help with your SEO just a little. So find a way to incorporate it into your alt text. And make it seem natural of course! In your meta description. Each page on your website should have an assigned meta description. And that description needs to include the focus keyword of the page to help it renal well in search. Before I send you on your way, I want to give you some final tips for SEO friendly content that we didn’t talk about. Each piece of content that you create should sound like you are speaking out loud to a friend. And if you don’t know how to do this, then start by reading your content out loud. If at any point it doesn’t sound natural, then you need to change it. And if it does sound natural and like a conversation, then give yourself a pat on the back for a job well done! You never want to steal someone else’s content or even reuse your own content on your website. Each time you create a page, you need to create a unique piece of content. Duplicate content is bad! And Google hates when they find duplicate content! So even if you want to include a similar snippet in your blog post to explain something, don’t copy and paste. Always come up with something new. 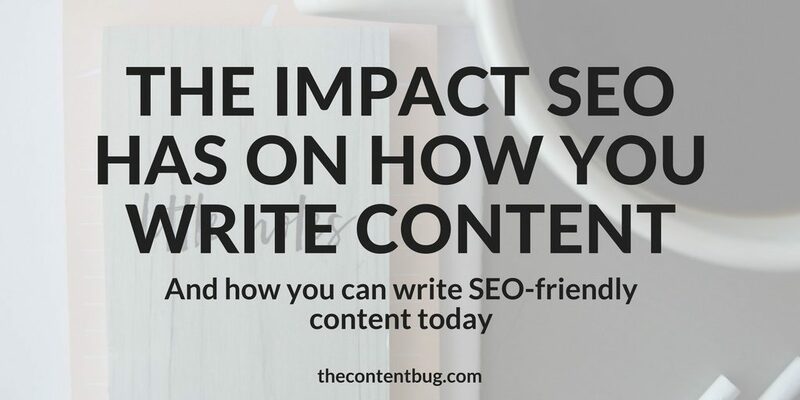 And just like that, you now know the impact that SEO has on how you write online and how to create your very own SEO friendly online content. But don’t go yet, I’ve got something big to tell you! 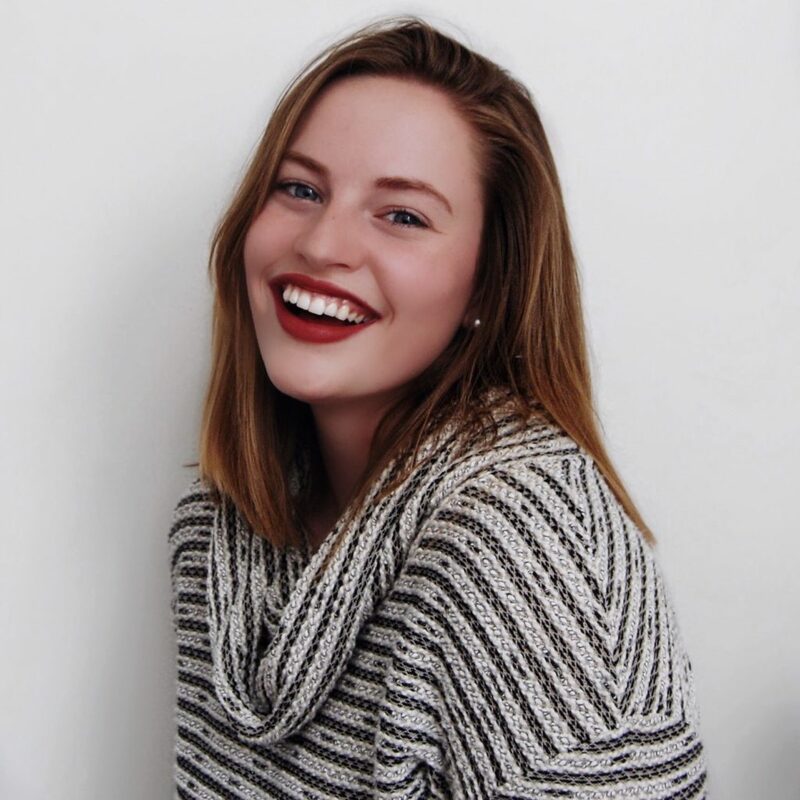 Have you wanted to start a blog but you have no idea where to get started?! Maybe you are in the research phase and want to learn more before you take the plunge. Well, I’ve created a FREE e-course just for you to not only help you start a blog, but also to teach you everything you need to know about SEO friendly blog content! Oh, and did I tell you that it’s free! This is the information you need to know before you get started. And there are no strings attached which is the best part!